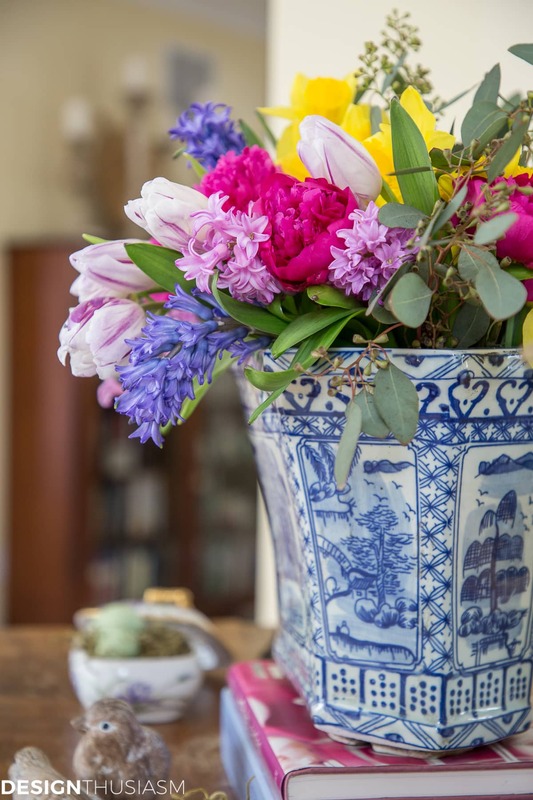 In this post: Decorating with spring flowers brings the joy of renewal to your home. 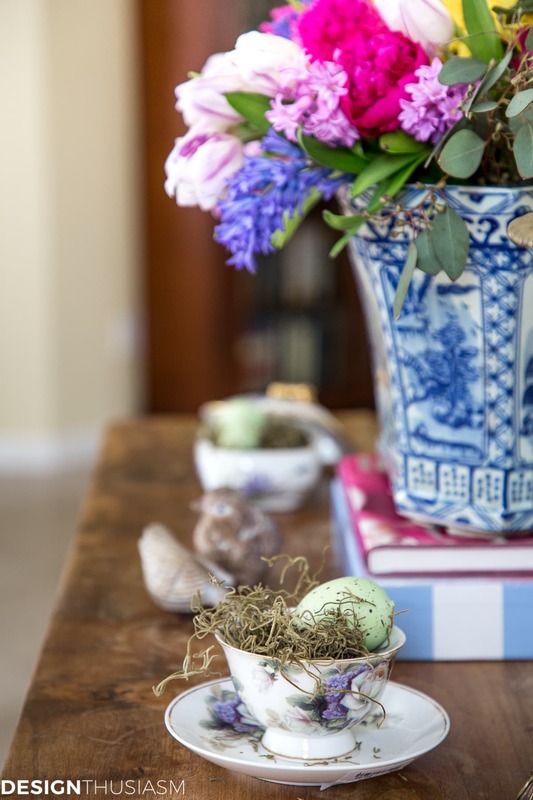 Here are 7 simple tips for styling a seasonal vignette to refresh your home for spring. Have you ever felt that joyous lift when you see the first spring bulbs pushing through the dirt? Maybe the snow is barely gone and you have to do a double take. Did I just see that? Were those daffodils? Did I catch a glimpse of color? Can tulips and hyacinths be far behind? I’m delighted to be joining with 5 other bloggers today to bring you the “Spring has Sprung” Blog Tour, hosted by my friend Sheila from Maison de Cinq. 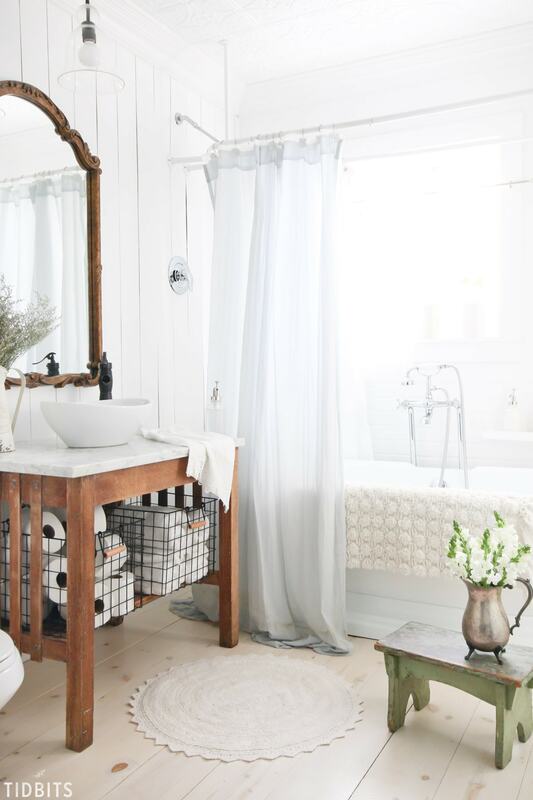 We’re celebrating that amazing feeling of spring renewal and sharing tips and ideas for bringing spring into your home. 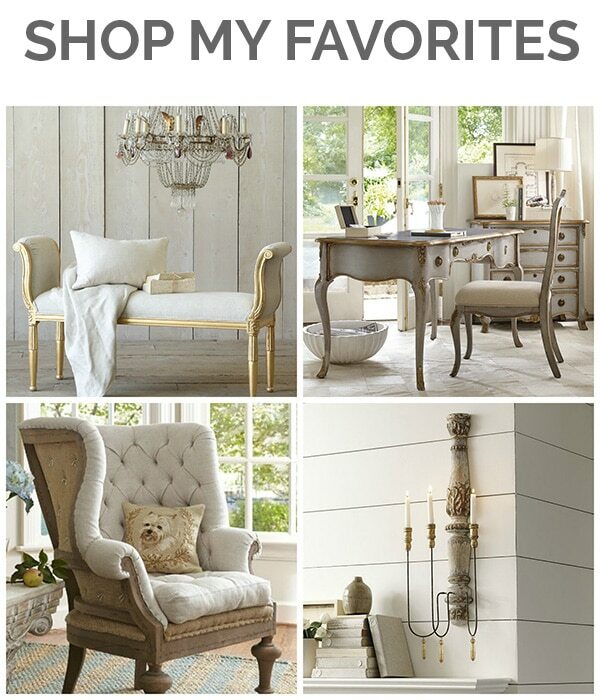 If you’re coming over from Decor Gold Designs and are new here, let me welcome you! Please be sure to check out the other posts linked at the bottom of this one. I’ll also be sharing Part 2 of the Tour on Thursday with 6 more bloggers’ posts. 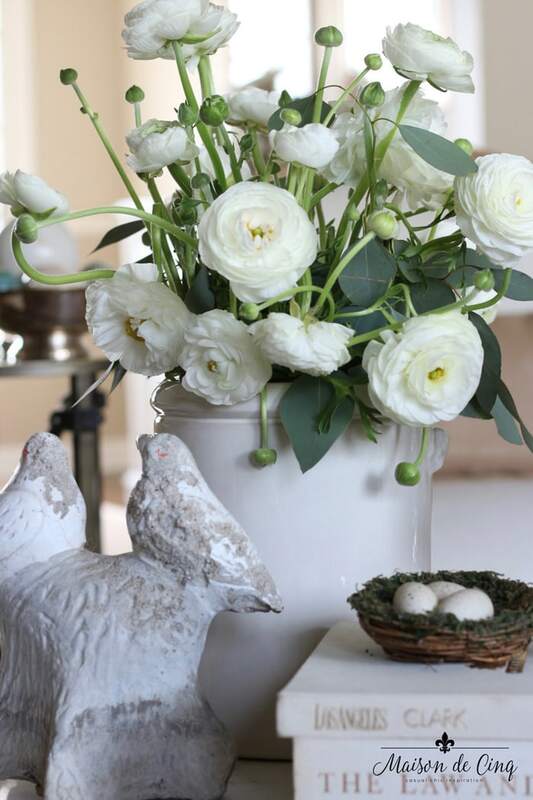 One of the easiest ways to introduce spring into your decor is with a fresh vignette. It’s nice to make a statement this way, comprised of several seasonal elements, as they will have more impact presented in a grouping. Pick a spot that’s prominent in your home so that you can fully enjoy it. 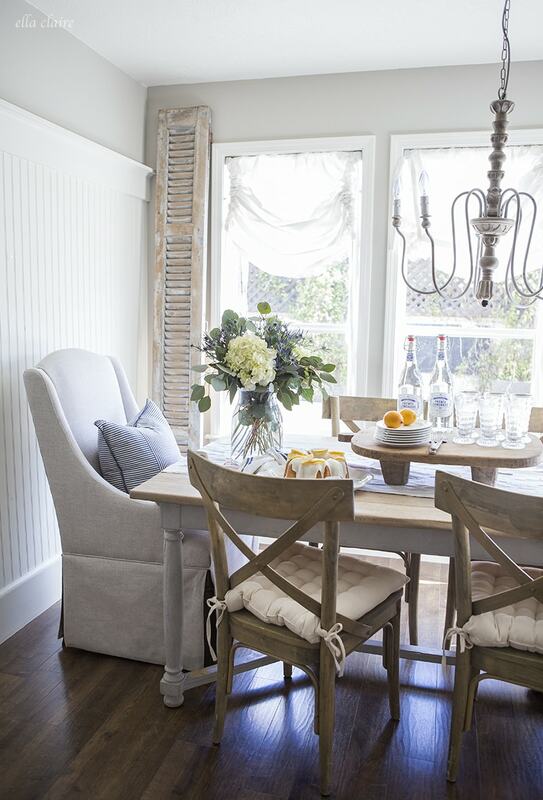 Perhaps a table in an entryway to welcome you home or a mantel in the room you spend the most time in? I’ve chosen a well lit chest with a mirror above it so it can be seen from a variety of angles. 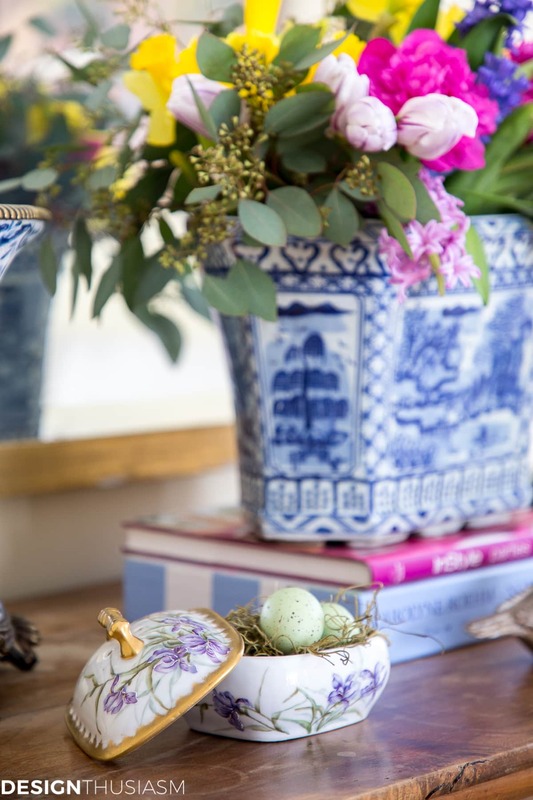 Here are 7 tips for styling a spring vignette to refresh your home for the season. 1. Spring flowers – I’m crazy about flowers all year long, but there’s something about spring flowers that’s exceptional. I love the burst of color they bring after a long winter, yet also enjoy the delicate mix of pinks and purples with buttery yellows that are the first to emerge. 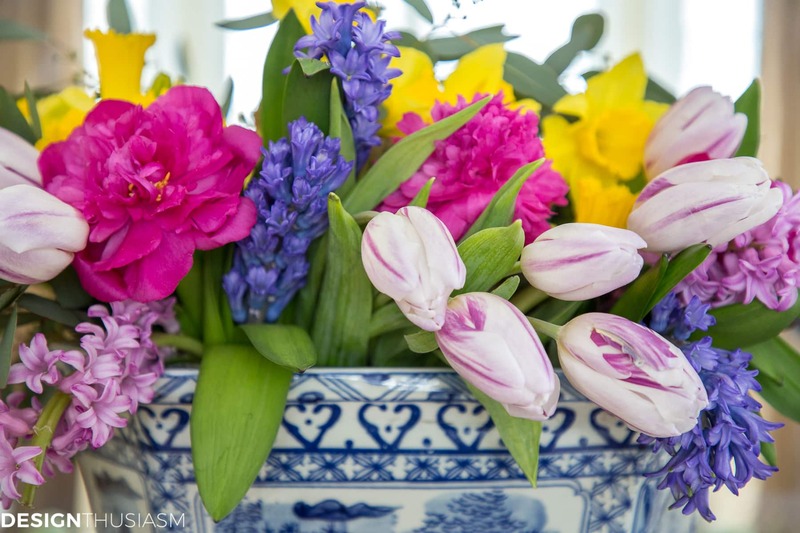 They’re softer than the colors that follow in summer and fall, and an arrangement that showcases classic spring bulbs like daffodils, tulips and hyacinths is the single most effective way to welcome the season. 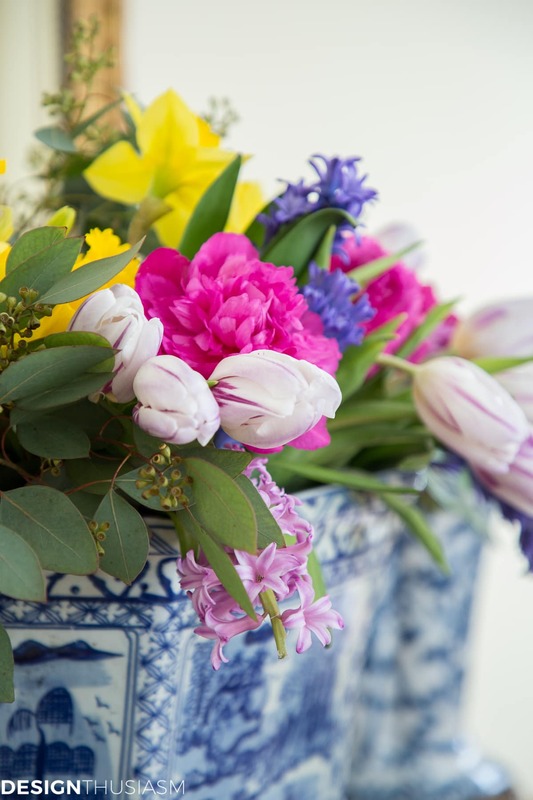 The gorgeous scent of hyacinths provides an added bonus that makes this ‘garden in a vase’ all the more special. 2. 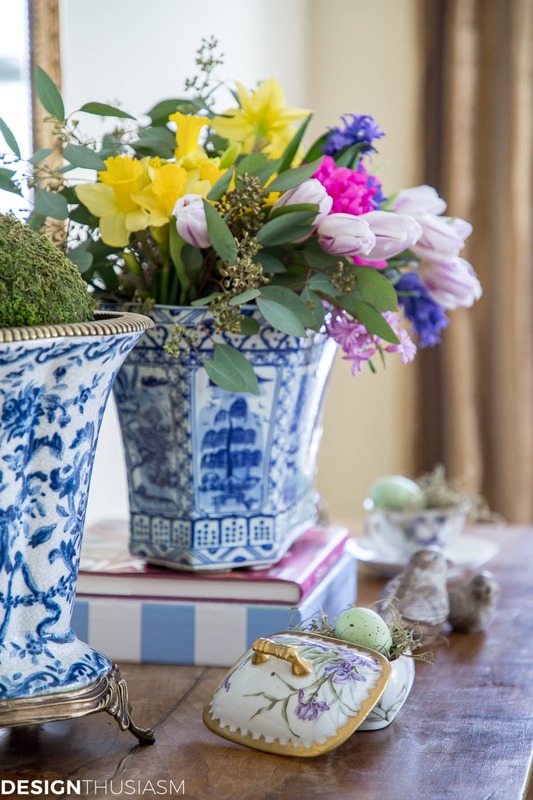 Eggs – Whether real or craft, using eggs in a spring vignette is almost a requirement. They signal rebirth and renewal and remind us of nature coming back to life. In soft shades of blue they are all the more charming and their small size makes them easy to work with in styling a vignette. Tuck them in your china pieces for a delicate presentation. 3. 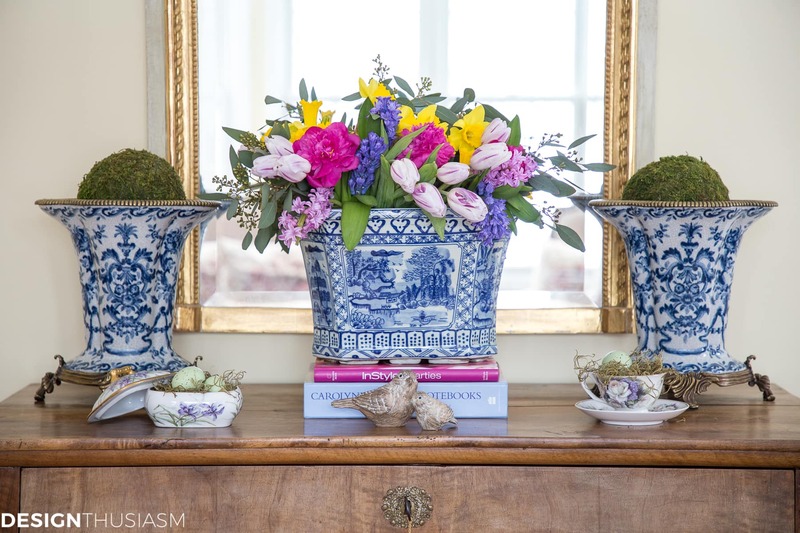 Floral china – All that floral china I put away when updating to white decor is perfect for pulling out to use in a spring vignette. The sweet little painted florals pick up the gentle color in the fresh flowers and complement the scene, perfectly. I didn’t overdo it, but selected a few key pieces to tuck the eggs into. 4. Birds – When I think of spring, the two things I think of are flowers and birds. In fact, one of the first signs of spring is the delightful sound of birds chirping. 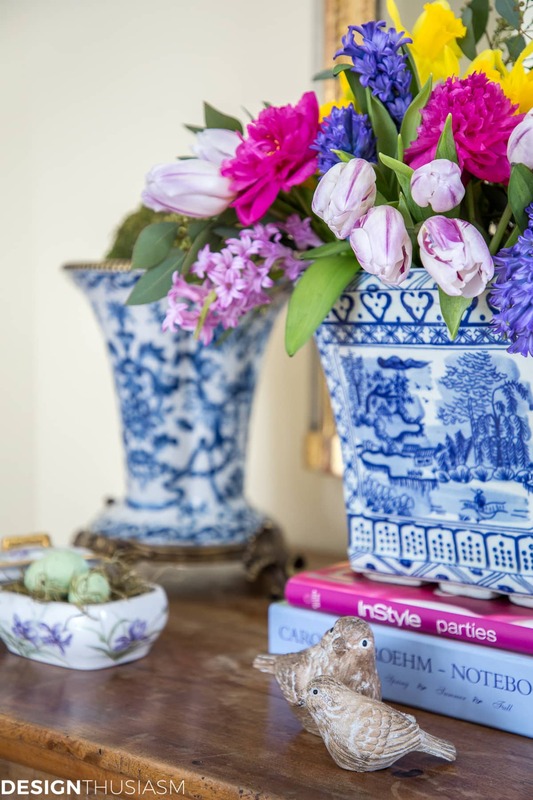 Using bird imagery is hence right at home in your spring vignette. I chose two wooden bird figures, but there are countless ways you can use birds in your spring decor. 5. Moss and nests – I often use nests in my spring decor, but using moss-like beds to rest your eggs on works just as well. Any nod toward nature gets the point across and I enjoy the contrast of the woodsy look against the delicate china cup. You could not look at this combination of elements and be confused as to what season it represents. 6. 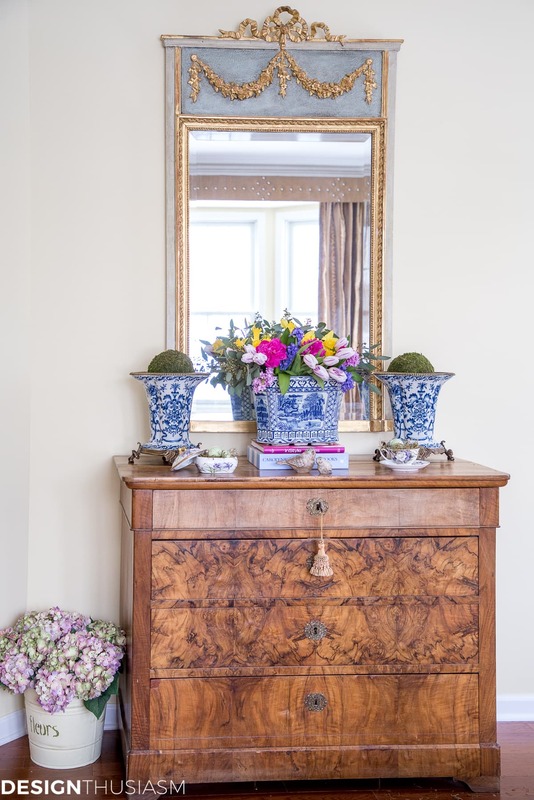 Blue and white chinoiserie – Of course, blue and white is popular all year long and can be utilized during any season, but there is none it’s so perfectly matched with as spring. 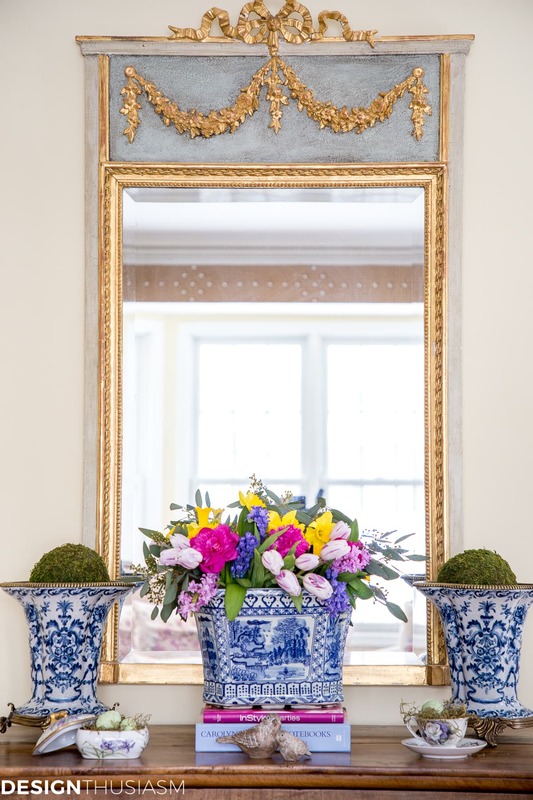 The floral bouquet is enhanced by it’s porcelain planter, as are the balls of moss in the flanking urns. 7. Colorful books – I often decorate with coffee table books and here they are used, both as a riser for the floral arrangement and to add another note of spring color to work with the spring flowers. The color of the bindings helps to bring out the cheerful pinks and blues, almost creating a banter between the elements. It is precisely the desire to style this type of colorful vignette that has influenced me to decorate my rooms more neutrally. 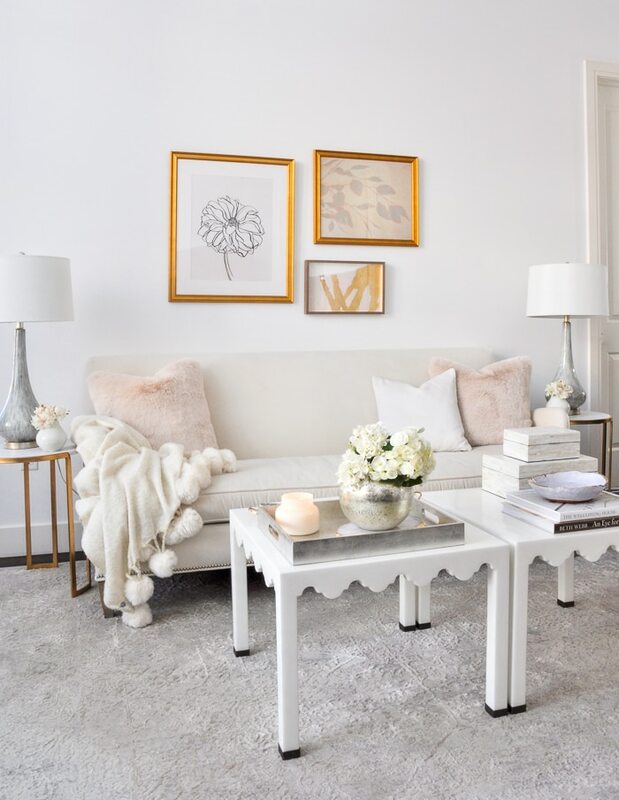 Against a backdrop of whites and neutrals you can decorate for any season, without holding back for fear of clashing with existing elements. I will continue on this path to pull the color out of my rooms, but as you can see, it doesn’t mean I’m living without color at all. Quite the country, I’m laying the groundwork to embrace decorating for each of the seasons with a full palette of seasonal color! Spring Flowers Vignette Source List – To get the look, click on the items below for direct links to the products. Where actual items were no longer available, I’ve provided similar options. 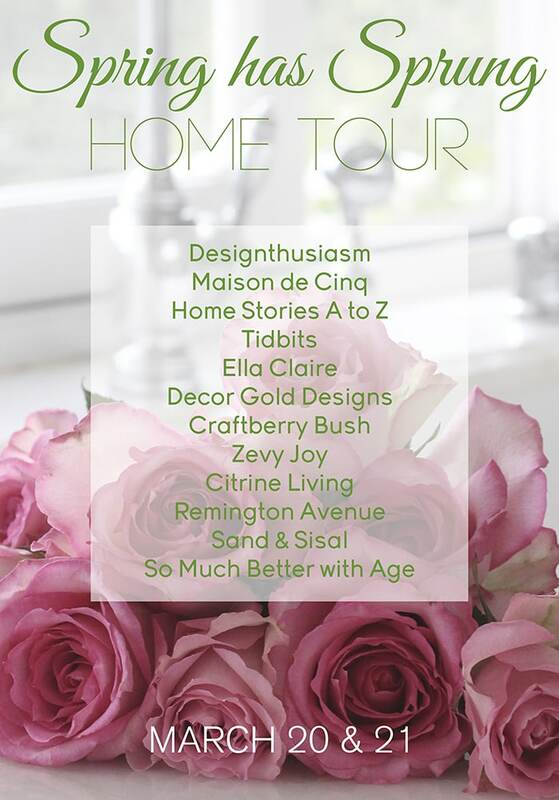 Next up on the tour is Maison de Cinq and I know you will love what Sheila put together. Then continue through the loop or visit all of the posts below. I love the spring florals you have chosen for the arrangement, but I have read that one should not put daffodils in an arrangement with any other flowers as they give off a liquid that is toxic to the other flowers. This will shorten the life of your arrangement. 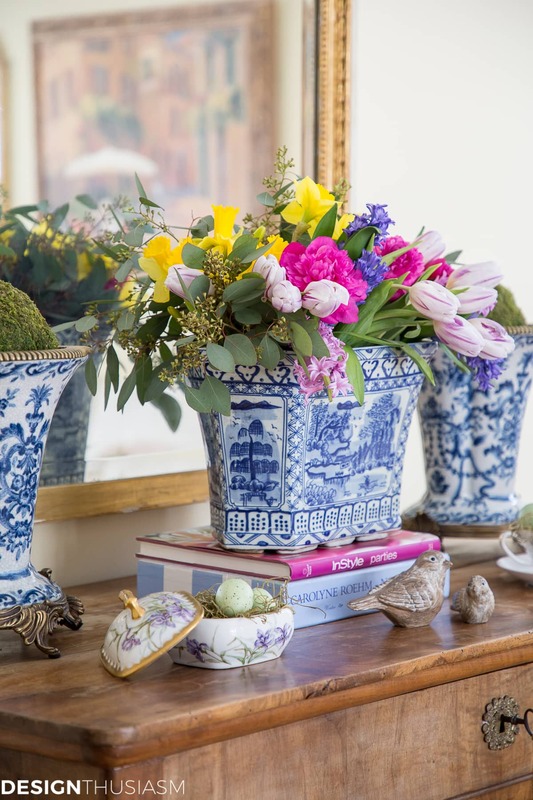 I just love the blue and white China and have some similar pieces hoarded that will become my mantle arrangement along with cobalt blue glass once spring is over. I seem to always be planning the next season’s decor! Perfect tips Lory! I love the one about using colorful books. I found myself doing so this spring without even thinking about it and now I am going to make a point of using them. Your florals are always so lovely and the colors you used this time are gorgeous for spring! Naturally, the birds I liked are the wooden ones, which are probably not available anywhere! Lol! Beautiful vignette, Lory! I love the moss with the eggs, and the combination of refined with rustic elements. As eager as I am to bring Spring into my house, I let it creep in very slowly, waiting until after Lent, and letting it blast into the house on Easter morning. When my boys were little, I would grow grass for the Easter baskets, and the boys would watch its progress every day as Easter approached. I love the blue/white pieces with those vibrant Spring colors, and the little porcelain box is just darling. Thanks so much! Sound like a lovely tradition you had with the grass growing… 🙂 Someone else also asked about the wooden birds. Can’t remember where I got them but will see if I can find a receipt. They’re not that old – maybe from last year. 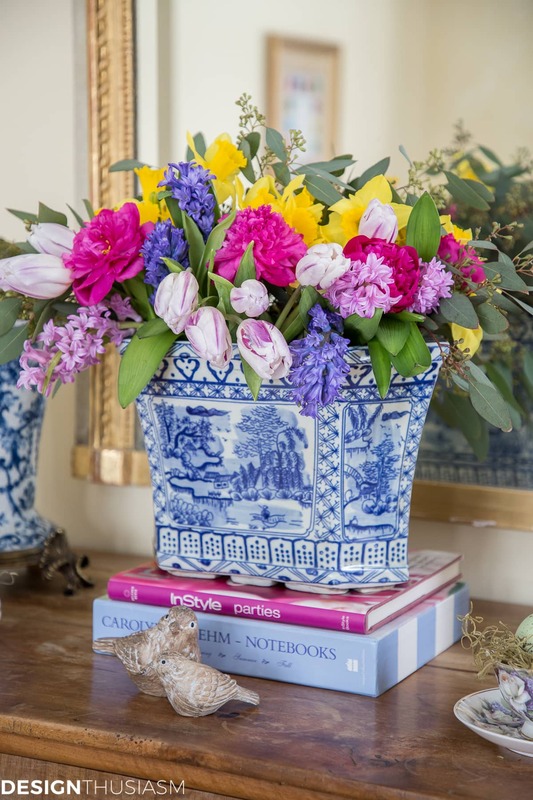 Such a vibrant and beautiful floral arrangement! Loks lovelly Lory! Bring on spring!!!! Lory, you are truly amazing with your flowers! These are gorgeous! I’m always fond of blue with pink, they look so pretty together. And your little birds, the eggs (you know I love those:) and the moss all make the perfect spring vignette. And can we talk about the piece you have it on?! Such a gorgeous antique! Thanks so much for joining, and for all your help! Thanks so much, Sheila, for your kind words and especially for hosting!! Lory what a beautiful post! I love all of your Spring tips and you put everything together in such an elegant way! Love the use of birds and nests mixed with flowers, so pretty! So beautiful, Lory! I just love the little eggs and birds. So delicate and cute to go along with your french decor and the gorgeous flowers! This is beautiful. I love all the colorful elements you added. So gorgeous, Lory! I love these spring tips. And I’m dying over your trumeau mirror!